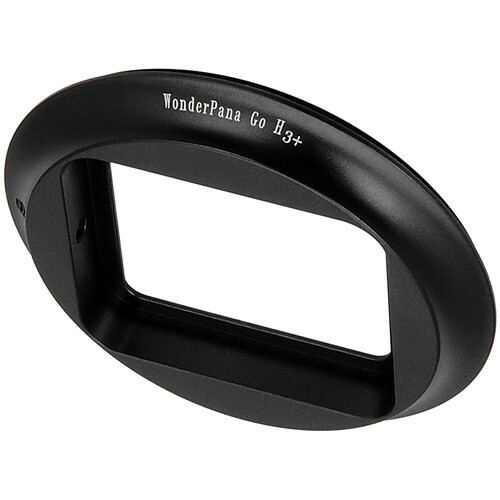 The WonderPana Go Filter Adapter for GoPro HERO3+ Standard Housing from FotodioX allows filters from the WonderPana Go filter system to be mounted on the GoPro HERO3+ Standard Housing. Based on a miniaturized version of the professional WonderPana filter system, the WonderPana Go series features a range of filters optimized for the GoPro to suit a variety of applications, from outdoors to diving. The adapter features all-metal construction, and screws in-place to ensure a solid mount. Note: This version of the WonderPana Go system is designed expressly for the original GoPro HERO3+ camera housing. The older, "chunkier" housing included with the HERO3 is not compatible with this filter mount. The cases for the HERO3 and HERO3+ cameras are interchangeable, so to use this WonderPana Go with the HERO3 camera, simply attach the filter mount to a newer "slimline" HERO3+ waterproof housing, or skeleton housing. Box Dimensions (LxWxH) 2.835 x 2.835 x 0.63"